Watching videos on a smartphone is probably one of the best ways to kill boredom while travelling on a bus. Though, what happens when your smartphone is about to die? In such cases, you can use this power bank to quickly charge your smartphone so you can get back to watching entertaining videos. 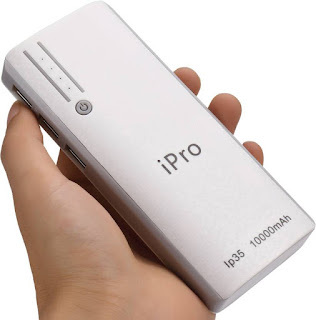 Flipkart is Selling iPro IP35 For Smartphones & Tablets IPRO 10000 mAh Power Bank worth Rs.2799 at Rs.469 Only up to 82% Off. 2. Add the Product to cart. 3. Now Login or Register on Flipkart. 4. Add the Delivery Address. 5. Now Pay the Amount in Suitable Mode or Select COD if Available. 6. That's it, You will Receive your Order Soon.